When doing serious workouts, your regular gym shoes may not cut it. Pick up a pair of CrossFit shoes to improve your stability when lifting. This will increase comfort as well as cushioning when you’re out running, and extra support when jumping. Taking care of your body means taking care of your feet as well. We’ve got a list right here for the best shoes depending on your workouts. The Minimus 20v3 from New Balance aren’t just weightlifting shoes, though it has a minimal drop of 4mm to support your body when lifting, and the cushioning in this shoe gives great support when running or jumping. These shoes weigh in at 6.5oz. You won’t need socks since the welded seams will prevent you from chafing. They also resist odors. Reebok’s CrossFit shoes customizes easily to tailor to your feet. This will sound bizarre, but grab a pair of Reebok’s Crossfit Lifters and toss them in your preheated oven (200F) and wait 3 minutes so the U-Form tab can turn red. Remove the shoes and put them on your feet, laced up, for 8 minutes. These lifting shoes weigh 13.4oz. Merrell’s Hammer Glove shoes can handle running on the track, or lifting weights, while remaining comfortable. They have a 0mm drop all the way through, making it ideal to lift your deadlifts while keeping balanced, safe, and close to the ground. The mesh lining is breathable and gently wraps around your foot but still gives you medial and lateral support. The Puma Bioweb Elite shoes are awesome for building up your endurance with CrossFit. They give you enough support to help your lifting or other training in the trainer studio due to their flexible heel wraps. They’re also great for running down roads. The outer sole has flex grooves which make your run smooth. When training for lifting at Olympic levels, the Inov-8 F-Lite 232 shoes will keep you feeling secure and grounded. 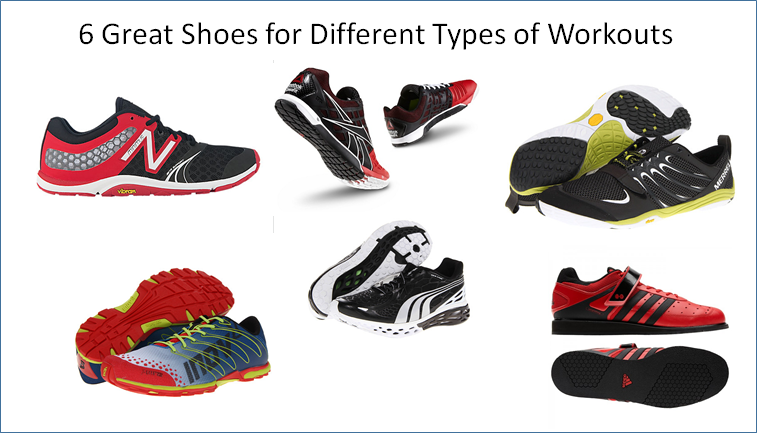 The shoes have a wide toe box which allows you to spread out your toes, giving you a greater foundation. The outer sole has a rubber that boosts friction so you’re less likely to slip. Extreme lifting is best with a pair of ADIDAS Power Lift Trainers. They’re really only good for your lifting. They keep your feet secure using a look-and-loop strap, and a lifted heel keeps your glutes and quads engaged, giving you extra power. They also have a rigid sole as well as a weight distributing plate which helps keep you balanced by giving you a solid platform.